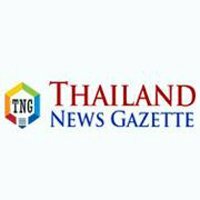 BANGKOK, Thailand, Thailand’s security forces, on Friday, were ordered to hunt insurgents, who attacked a train bound for the southern province of Yala. The train heading for Yala was fired by a group of unidentified insurgents in Narathiwat, one of the most restive provinces in Thailand’s deep south, on Friday. No one was injured from the attack. Police said, bullet holes were found on the wheels and bogies of the train. Most on board are regular passengers. Most of them are low income earners. Yala province, together with Narathiwat and Pattani, are the three southernmost provinces in Thailand, that have been haunted by insurgency launched by ethnic separatists, since 2004. Bomb attack and gun shots are often reported in the restive area. The insurgency have killed more than 6,500 people. Insurgents launched frequent attacks on security forces, including police, rangers and soldiers. But lately, they turned to target young students, teachers and residence.